Meet Matt Griffin of Houston TX. You may have seen where he lives mentioned in the news lately. 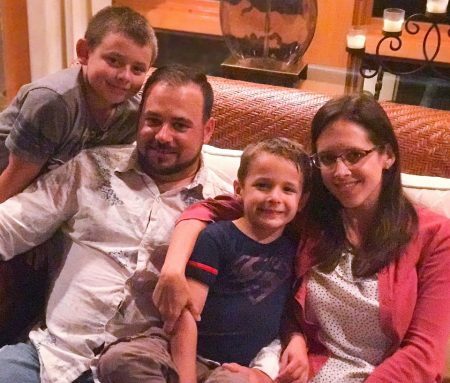 What you probably haven’t seen, until now, is the story of Matt Griffin and the family he leads. Eighteen years ago Matt founded Prime Lawn primarily doing residential maintenance. 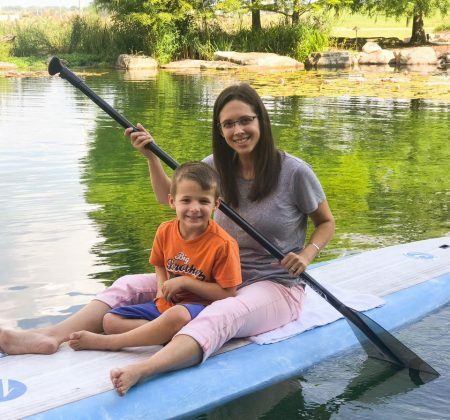 He expanded his business into a full service landscape design build firm which included installing water features which is how I had the pleasure of getting to know him. He was a good customer who grew into a very good one through the years. But one year ago while visiting us in Chicago for our annual pond convention called Pondemonium, Matt’s entire world was turned upside down. He discovered improprieties that had his business, for all intents and purposes, insolvent. Virtually every outside advisor he consulted with suggested he file for Chapter 11 Bankruptcy. For Matt and his wife Heather that option simply wasn’t an option! The Griffin’s primary motivation was the people that called Prime Lawn their home. Their very first meeting was with their team where they explained the cold hard reality of their situation. They literally told everyone they employed they didn’t have the means to pay any of them. But they also told each of them they’d figure out a way to do it in the “next week or two” Matt feared nobody would stay, instead nobody left! He then contacted every customer, explained that the company didn’t have the money they had already given him for their deposits but IF they paid him 10% of the total per week, he’d start and finish every single project. Every customer paid and every single employee got paid in return. Amazing! The most amazing thing of all though was over the next 12 months Prime Lawn blew away all their projections and had the single greatest year in the history of their business!!! For their fortitude and exceptional results Aquascape recognized Matt Griffin of Prime Lawn as the 2017 Aquascape Businessman of the Year! The entire family, sans their two and a half year old daughter, made the triumphant return back to Pondemonium and were recognized with a standing ovation in front of all their peers. Their flight to Houston was scheduled to return on Sunday Aug 27th. The first flight they were able to catch departed Saturday September 2nd! 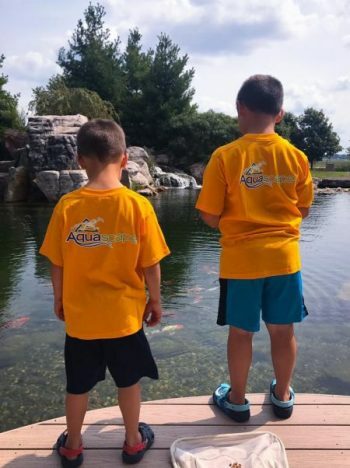 This last week, stranded in Chicagoland, their family stayed with the Aquascape family at Aqualand. It was our joy and pleasure to be able to host them! Home now they are facing an entirely different but equally daunting challenge than they faced last year at this time. 90% of their scheduled landscaped projects were underwater! Someday people will certainly rebuild their yards…but only after they have rebuilt their devastated homes! Once again the 2017 Aquascape Businessman of the Year has his back against the wall…for another whole year! If there’s one thing though that I truly believe, it’s that we get nothing in life that we can’t handle. Handling what we get in life though, is ultimately what separates the exceptional people from all the rest. The Griffin’s are exceptional people! God bless you guys for your exceptionally resilient spirit! You’ll need every ounce of your exceptional fortitude on the next journey ahead of you. You’ve done it before, you’ll do it again. After all, that’s just what EXCEPTIONAL people do! Newer Post Wild Energy Older Post Happy Labor of Love Day!